BACK ON THE MARKET! It's hard not to fall in love with this custom-built 5 bed/4 bath modern Craftsman! With 3,700 sq. 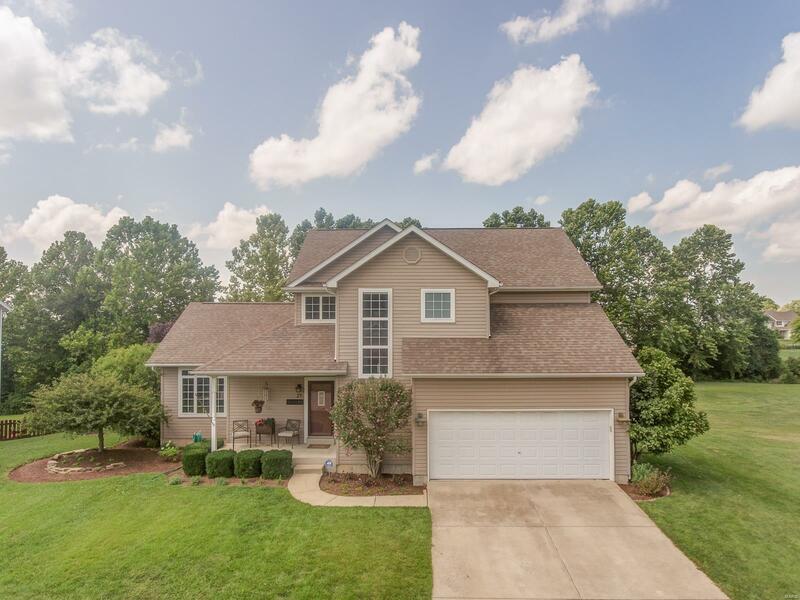 ft. and a half acre lot, thereâs lots of living space, both inside and out. 1st floor with 9 ft ceilings features an Island kitchen with tall shaker cabinets, large dining room, and vaulted Greatroom. Covered deck has built-in bar seating. Pantry, 3/4 bath, office/bedroom with built-ins, and laundry/mud room complete the 1st floor. Extra tall 2-car garage has 10x13 workshop area. Gorgeous sun-lit split staircase leads to 2nd floor with three bedrooms. Master bedroom has walk-in closet and bath with spa tub, double sinks & separate shower/toilet area. Kidsâ bedrooms share a spacious full bath with double sinks & separate toilet/tub area. Finished walk-out basement boasts a kitchenette, wide screen projector system, bedroom, and full bath. Storage space abounds. Fenced-in backyard features large bricked patio. Just 1 mile from The Rec! City compliant.